Prof. Pierluigi ROSSI FERRINI was born in Sarteano (Siena) on 9 April 1930. He is married with three children. 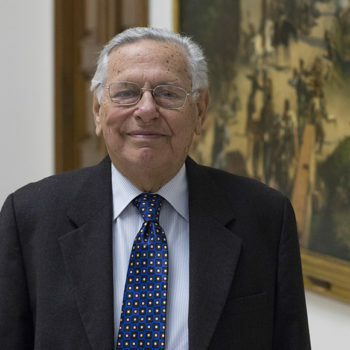 He graduated in Medicine with honours at the University of Florence in 1954 and specialised in 1959 at the University of Pavia in diseases of the digestive tract, the blood and metabolism. From 1970 to 1984 he was a lecturer in haematology and Head Physician in haematology at the Arcispedale di S. Maria Nuova in Florence. From 1984 to 2002 he held the Chair and was in charge of the haematology department of the Careggi Polyclinic and Director the Haematology Specialisation School of the University of Florence. From 1986 to 31 October 2003 he was Full Professor of haematology at the University of Florence. From 2001 to 2003 he was appointed by the Tuscan Regional Council to manage the Regional Transplant Coordination Centre. He was also a member of the National Council and the Board of the National Transplants Centre, and served on committees dealing with specific health issues set up by the Tuscan Regional Authority. He is currently a member of the “American Society of Hematology”, of the “International Society of Haematology, of the Società Italiana di ematologia and Honorary Chairman of the Associazione Italiana Leucemie. He has been Deputy Chairman of the Ente Cassa di Risparmio di Firenze since 20 March 2013.